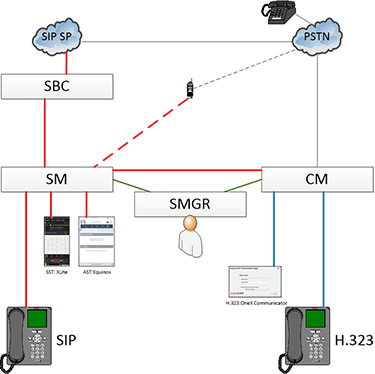 We complete or review the various configuration forms necessary to enable SIP endpoints in an Avaya SIP enabled network using the Avaya Session Manager. As we step through the Communication Manager SAT, System Manager Web Interface, and the Session Manager CLI, we will point out and configure only those settings that are relevant and significant to complete the tasks this workshop is developed to address. Any settings’ values not specifically mentioned are assumed to be left at the default value for the purpose of this workshop. The intent of this course is to provide the students with introductory information on administration, maintenance, and optimization of Avaya Aura Session Manager with Avaya and Non-Avaya SIP endpoints. The content of this course can be considered foundational and will be used for future workshops that cover related topics. Throughout the workshop students will have the opportunity to participate in hands-on virtual lab exercises.